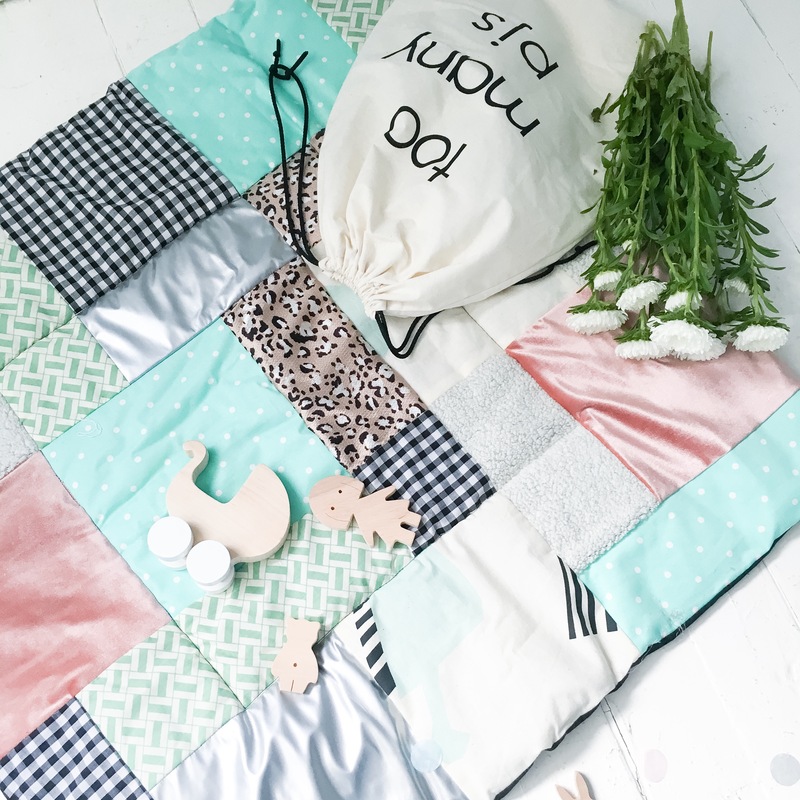 Lovingly created by Erin in London, UK, Too Many Pjs is a gem of a small business with an array of modern handcrafted patchwork products in their Etsy shop. Erin’s background is textile design and she’s worked freelance for the likes of Roland Mouret, Joseph and Alexander McQueen so she knows a thing or two! 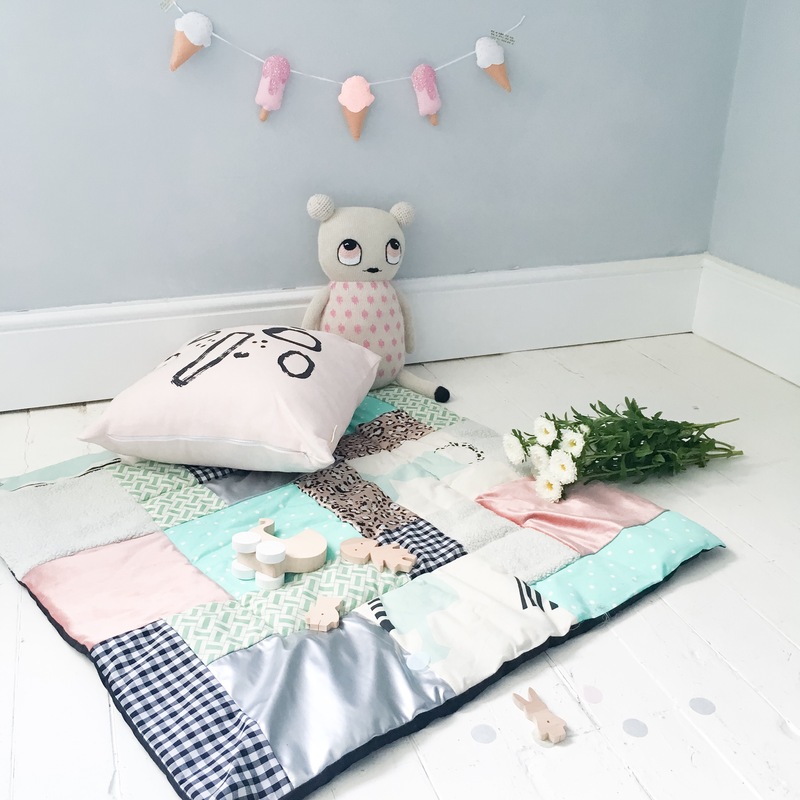 After the birth of her first child, Erin made a playmat using some of the fabrics she had designed and Too Many PJs was born after so many of her friends started asking for their own version. Erin believes wholeheartedly in making sure her products are of the finest quality whilst marrying a contemporary design concept, and textures and colours that will appeal to the whole family. 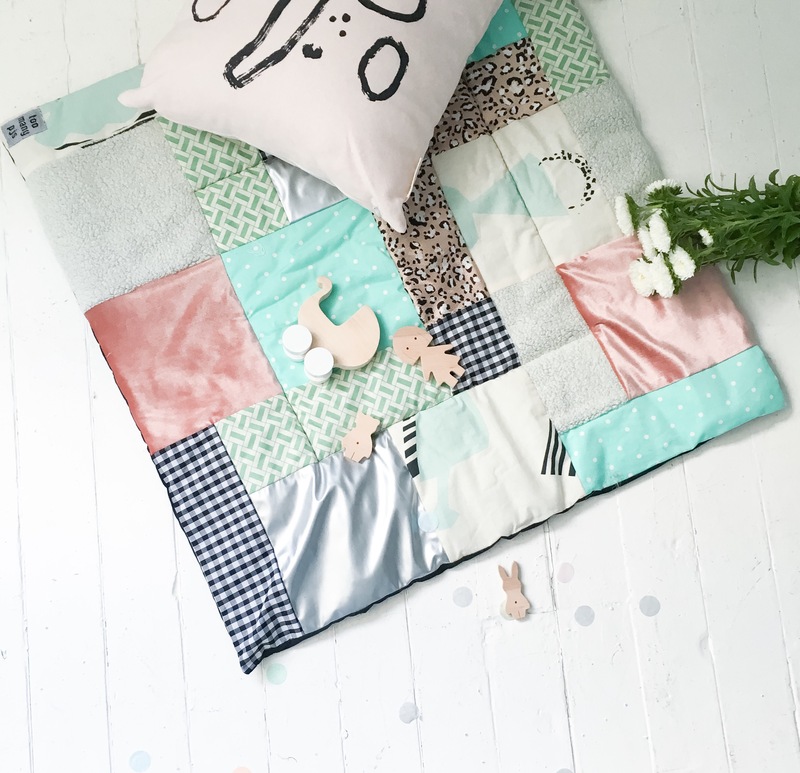 The mix of print, texture and colour is perfect for stimulating and delighting babies, so the patchwork playmates are a fantastic alternative to the garish ones from the high street. 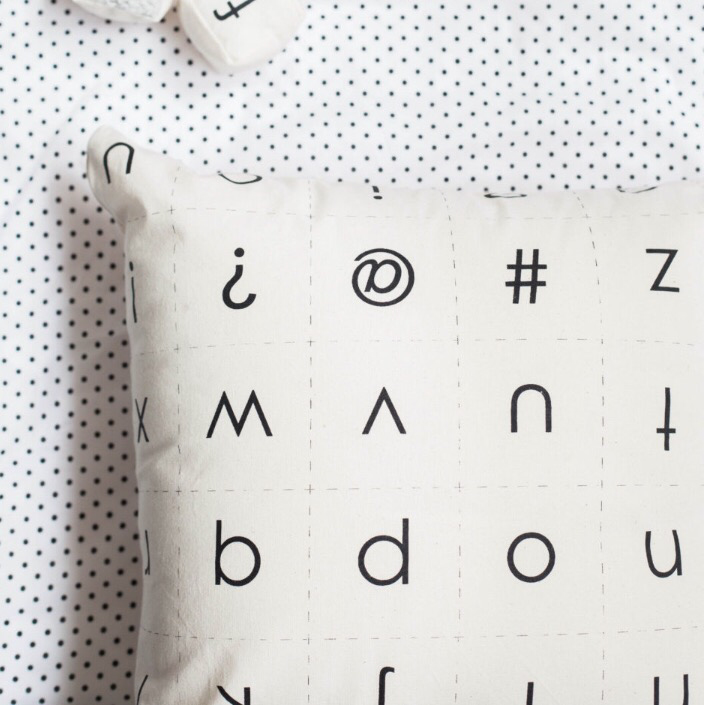 Erin also handprints canvas and creates minimalist styled cushions and play blocks which are created in her studio. 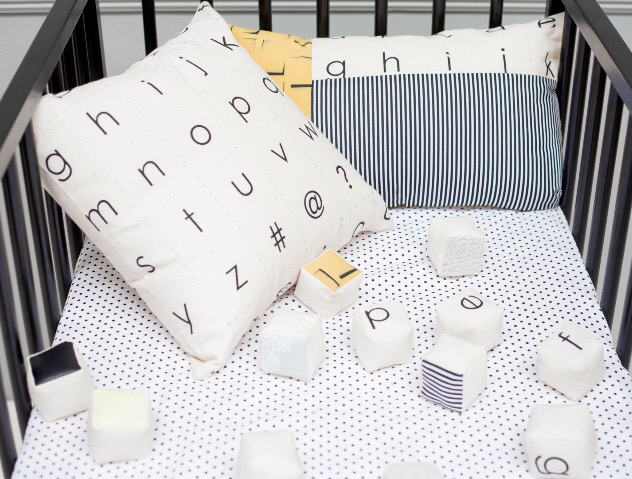 The play blocks are created with lowercase letters and have sides of textured material which are ideal for little ones and the cushions are sold in patchwork style or as a clean minimal design shown above. Too Many PJs can be found at www.toomanypjs.com which links to their Etsy shop where you can view and purchase the range.